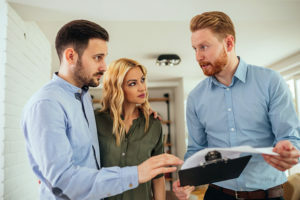 Title issues can arise in every real property transaction, and how property owners hold title plays a significant role in any potential dispute. Let’s look at the most common forms of real estate title, the advantages they offer, and the risks they pose. Each type of ownership carries unique characteristics, and factors such as financial ability, family relations and marital status, elder law and estate planning implications, and creditor protection can significantly affect which form of title you select. It’s helpful to point out that real estate law uses the term “tenant” when describing different title holders. Unlike a renter in a landlord-tenant relationship, a title-holding tenant is a property owner. Tenants in Common (also known as Tenancy in Common) own an undivided interest in the property. Although the owners’ respective interests need not be equal, all of the tenants in common have an equal right to use or occupy the entire property. Tenancy in Common is popular for family cottages, hunting property, and undeveloped investment property. If one owner dies, the survivor or survivors retain the deceased owner’s fractional interest without a right of survivorship, meaning that the deceased owner’s interest passes to his heirs or devisees if there is a will. The same is true if an owner sells his interest – the buyer only receives the seller’s fractional share with the right to use or occupy the entire property. Where two or more people hold title as Tenants in Common, the deed should recite the respective interests of each, using words such as “to A and B, as Tenants in Common, each as to an undivided one-half interest.” If the respective interests are not expressly stated in the deed or otherwise recorded, there is a presumption that the owners’ interests are equal. An advantage of a Tenancy in Common is the owner’s flexibility to convey or bequeath the interest to beneficiaries, or a trust. The owner’s estate plan must be carefully considered to be sure the owner’s interest is distributed according to his or her planning goals. The greatest disadvantage is that the severable interests are subject to probate court costs and delays following the death of one owner, which complicates estate planning for other owners. Additionally, the financial difficulties of one owner can negatively impact another owner’s property interest. For example, if an owner had a judgment or lien against him, it could lead to foreclosure on his share in the property, or worse, a bankruptcy proceeding or government lien could force the sale of the property to satisfy his creditors unless the other owners are willing to pay off the creditors and buy out the insolvent owner. And if an owner dies, there is the chance that the remaining owners may dislike or disagree with the person or people to whom the decedent left her interest. Fortunately, when co-tenants don’t get along or cannot agree on matters involving the property, one co-tenant can seek help from the courts by bringing an action for partition. Tenants by the Entirety (also known as Tenancy by the Entirety) differ from Tenants in Common in one important way – the co-owners must be married, and transfers of their interests in the property are presumed to be as a married couple. It is an inseverable entity, unless specific language is included to negate the entireties interest. A spouse may convey property held by the entirety only to the other spouse, and, if both spouses convey or encumber the property, they must do so in the same instrument. Tenants in the Entirety may not pursue a partition action against one another. In Tenancy by the Entirety, the married couple effectively own the entire estate, therefore neither can deal with the property independently of the other. The main advantage is that creditors of one party cannot enforce liens against the property, and if the debtor spouse dies first, the lien can never be enforced against the property. In practical terms, although one spouse likely will not incur substantial debt without the other spouses’ involvement, if that does happen, the debt-free spouse can rest assured knowing that his or her real estate interest is safe so long as the property is held as Tenancy by the Entirety. By holding real estate as Tenancy by the Entirety, the husband and wife are creating a layer of defense against potential liability. Title involving Joint Tenants (also known as Joint Tenancy) has two main characteristics – the right of survivorship and the right of partition. A joint tenancy is created by conveyance, i.e., “To A and B as joint tenants,” and upon the death of one joint tenant, the interest passes to the surviving joint tenants rather than to the heirs of the decedent. By law, each owner is entitled to the right of possession and cannot be excluded by another. People are often confused by the difference between Joint Tenants and Joint Tenants with Full Right of Survivorship (below), unique to Michigan. People often intend that ownership be held as Joint Tenancy with Full Right of Survivorship, but unless it contains the magic words – “with full rights of survivorship” – they own the property as Joint Tenants. The major drawback to this type of ownership is that if the co-owners disagree or quarrel, any of them can initiate an often expensive and time-consuming partition proceeding. This is the same as a Joint Tenancy, but with the addition of language to prevent severance by transferring one owner’s interest. It is created by a conveyance to two or more people “as Joint Tenants with Full Rights of Survivorship,” and survivorship can only be destroyed by an act of all of the co-owners. Like a Joint Tenancy, the death of a Joint Tenant with Full Rights of Survivorship leaves the deceased owner’s share to the surviving co-owner(s), and a will, trust, or other document specifying the deceased’s intent has no effect. The interest of a deceased Joint Tenant with Full Rights of Survivorship or a Joint Tenant (without those important magic words) does not go through probate. Usually, recording a certified copy of the death certificate in the Register of Deeds office will suffice to extinguish the interest of the deceased joint tenant. Unmarried individuals who buy real estate must be careful, especially when creating a Joint Tenancy with Full Rights of Survivorship. Too often, unmarried couples will elect to take title as Joint Tenants with Full Rights of Survivorship at closing, not recognizing that this entity cannot be severed, not even by a court partition action. Couples who acquire property as Joint Tenants with Full Rights of Survivorship and then later separate find themselves embroiled in expensive legal proceedings to divide an asset where the law provides virtually no legal mechanism to accomplish a division of property for unmarried individuals. If the parties do not wish to seek counsel before acquiring real estate together, they should at least consider taking title as Tenants in Common or as Joint Tenants (without the magic words) to allow more flexibility if separation occurs. Real estate buyers have become more sophisticated while societal changes pose new challenges for property ownership. Understanding the nuances of various forms of real property titles is critical – failing to seek counsel can result in significant costs, delays, hurdles, and headaches, with far-reaching effects on estate planning, elder law, and business interests. The attorneys at Kreis Enderle have experience in all types of real property titles and transfers, and related areas of law. Please contact us today to discuss your situation and your goals for your property and investments. 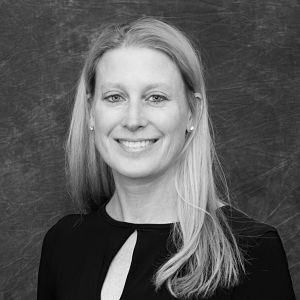 Kay Kossen focuses her practice on real estate law, including residential and commercial transactions, transfers of ownership, title litigation, developments, condominiums, and homeowners associations. She also counsels clients on estate planning matters such as long-term care planning and Medicaid benefits, succession planning, and asset protection using trusts, wills, deeds, and power of attorney documents.